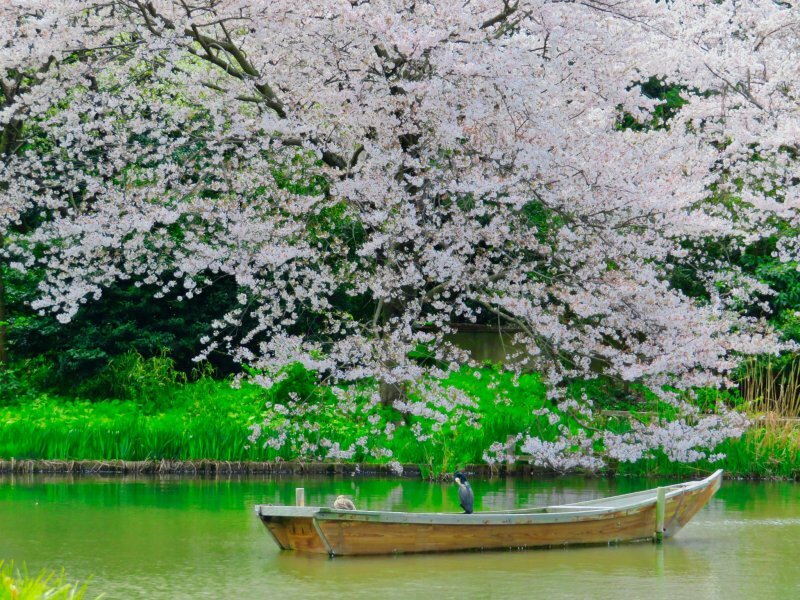 March begins the Cherry Blossom season throughout Japan. 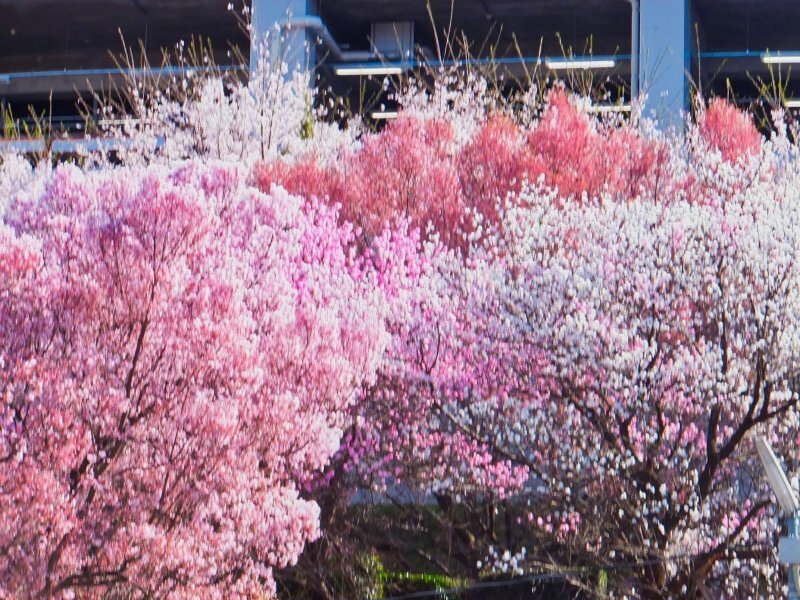 The blossoms are spectacular and only last for a week or so. 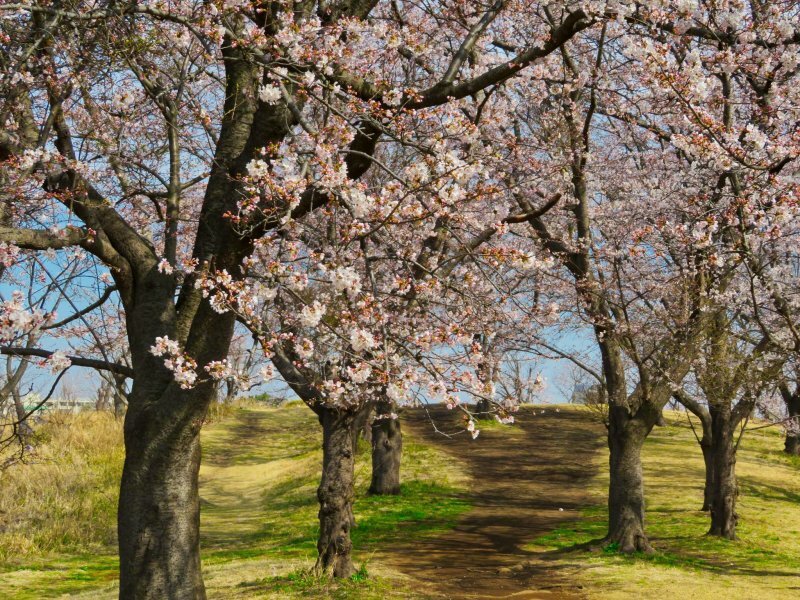 This is also our windy rainy season and so not long after the blossoms appear the wind creates a beautiful flowering carpet along the tree line paths. 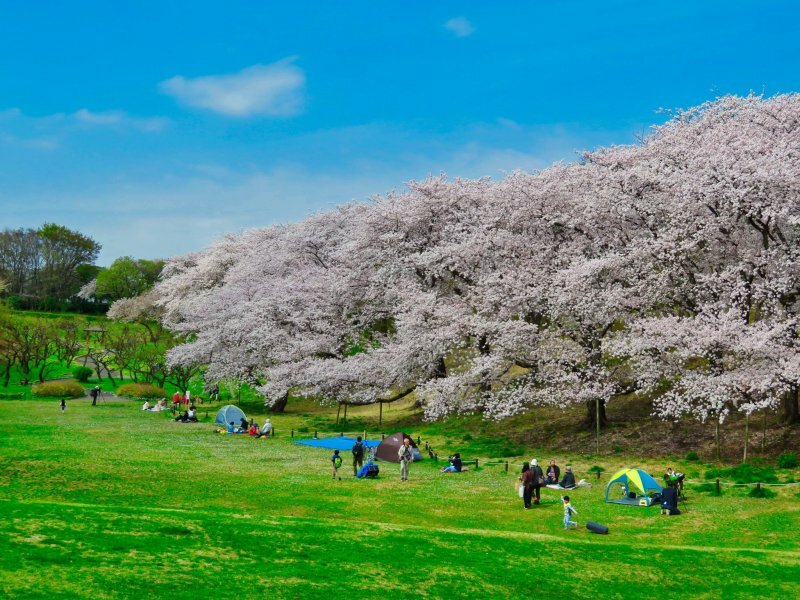 O-hanami, picnicking under the blooming cherry trees, is a custom that began during the Nara period in 710. 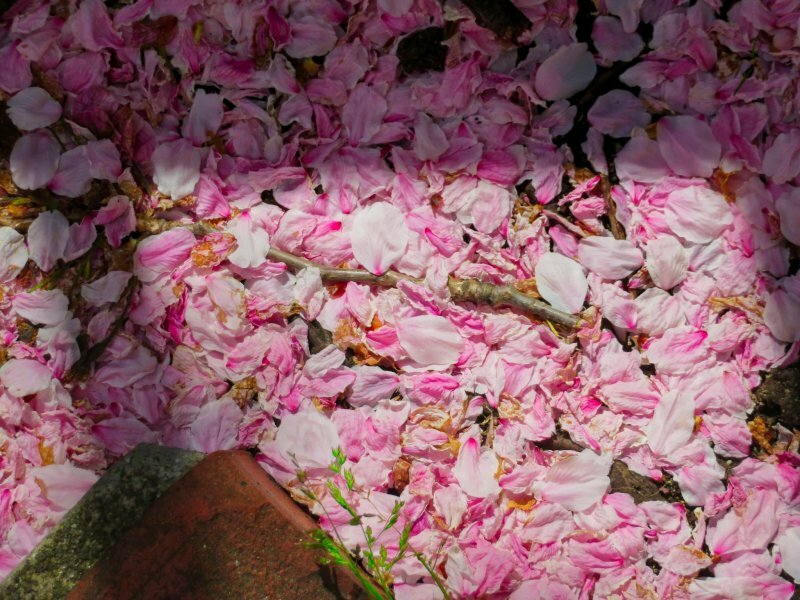 The blooming and then falling blossoms represent a spiritual life cycle that is widely celebrated throughout the country. 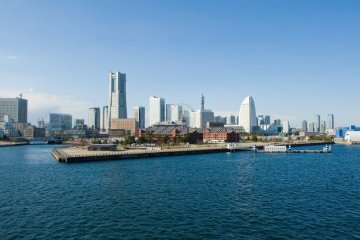 Kanagawa prefecture covers 2,415 square kilometers (932.8 Square Miles), and is home to over nine million people with Yokohama as its capital. 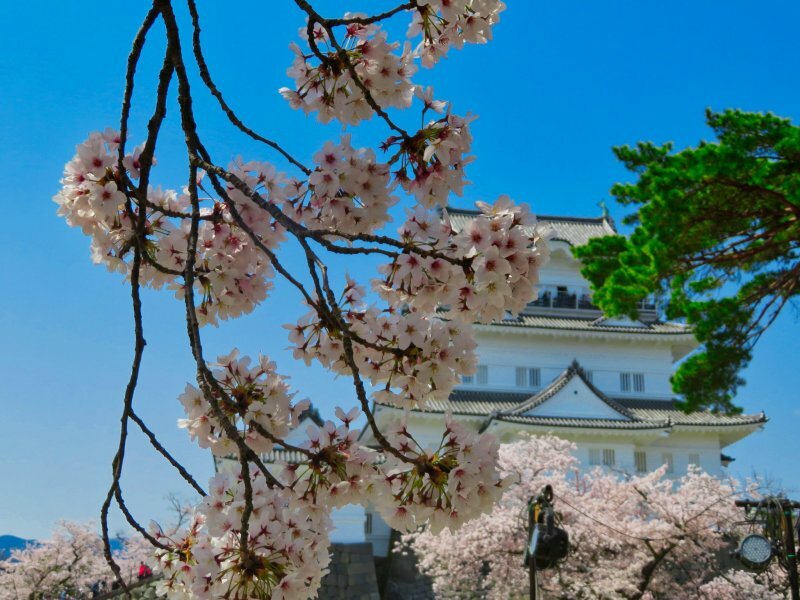 During Sakura season the prefecture is filled with blossoms. 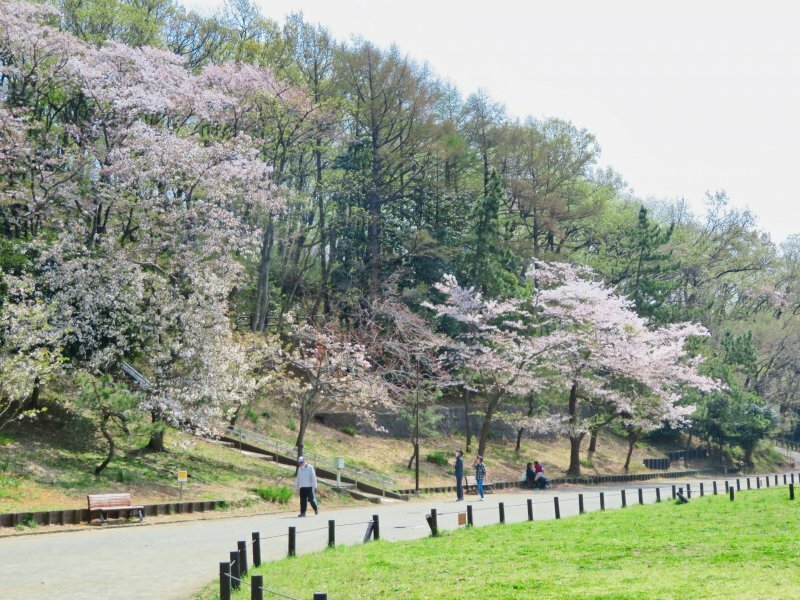 Parks are abundant throughout the region with many spectacular Sakura displays. 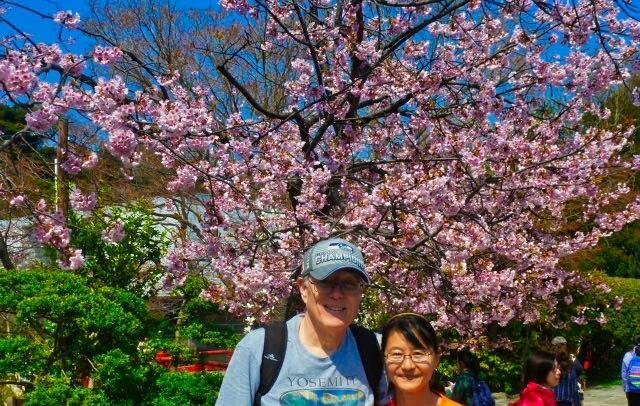 I walk everyday and have discovered some areas that are not well known, but provide great Sakura viewing. 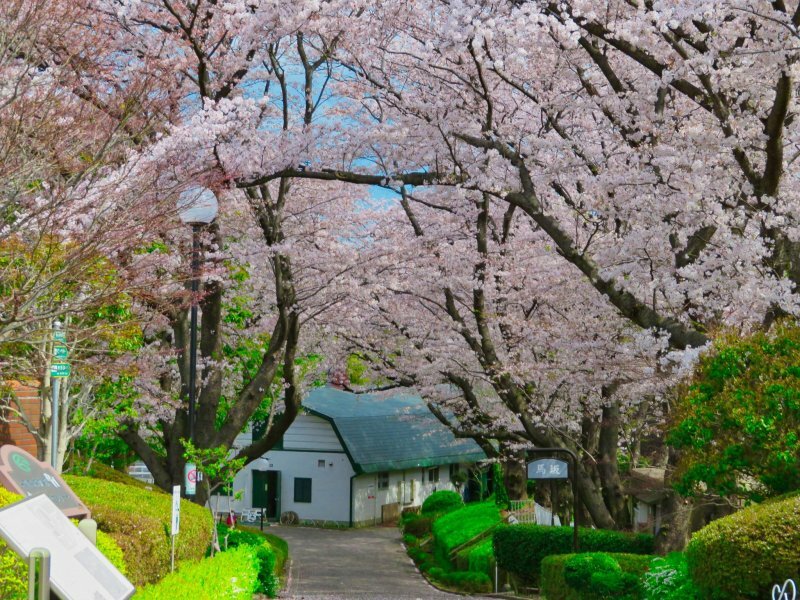 Here are just a few of the hundreds of places in Kanagawa where you can get your Cherry Blossom fix. 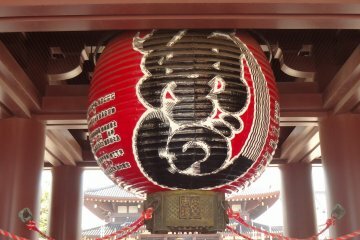 Is located up on a hill about 2.3 kilometers from Hodogaya station. There is a bus stop at the park. This is a multipurpose community park with year round flower displays. In February they sponsor a Plum tree festival and in late spring the Hydrangea display is one you will not want to miss. 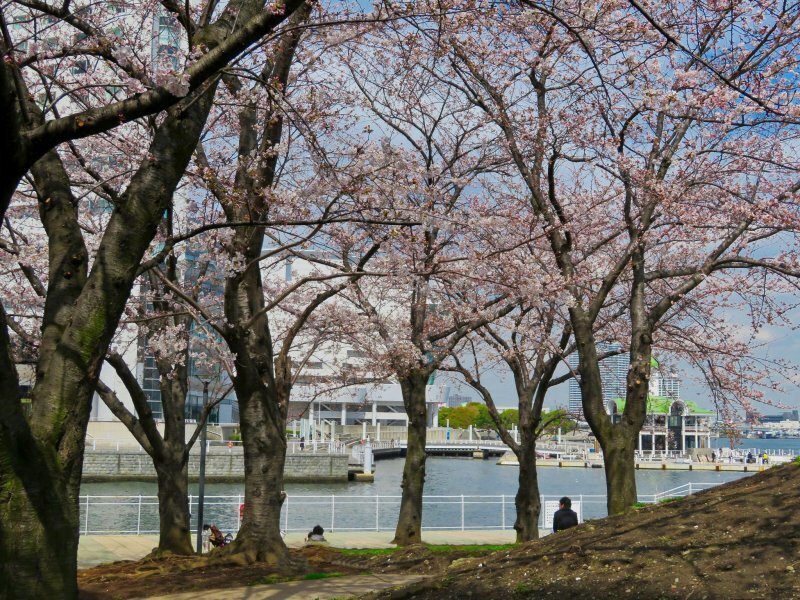 As for the Sakura there are several excellent viewing areas within the park. 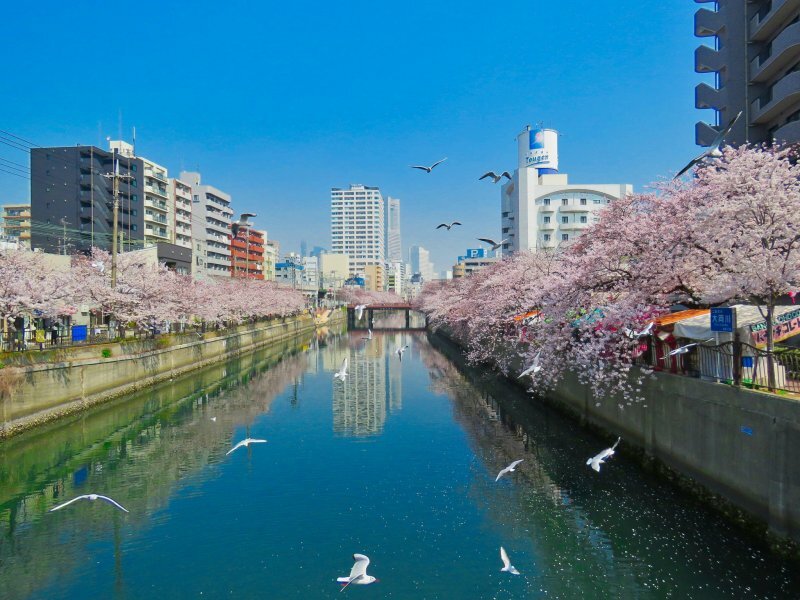 From my house in Higashi-Totsuka it is an hour walk to Kamiooka along several canals. 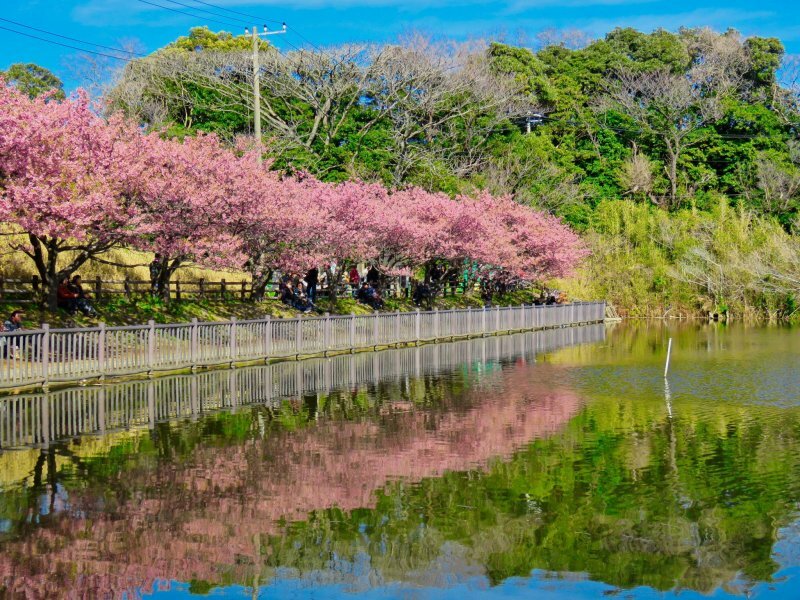 Not as well known, you can really enjoy the walk, and some areas along the canal have unbelievable water reflections of the Sakura for taking your best pictures. 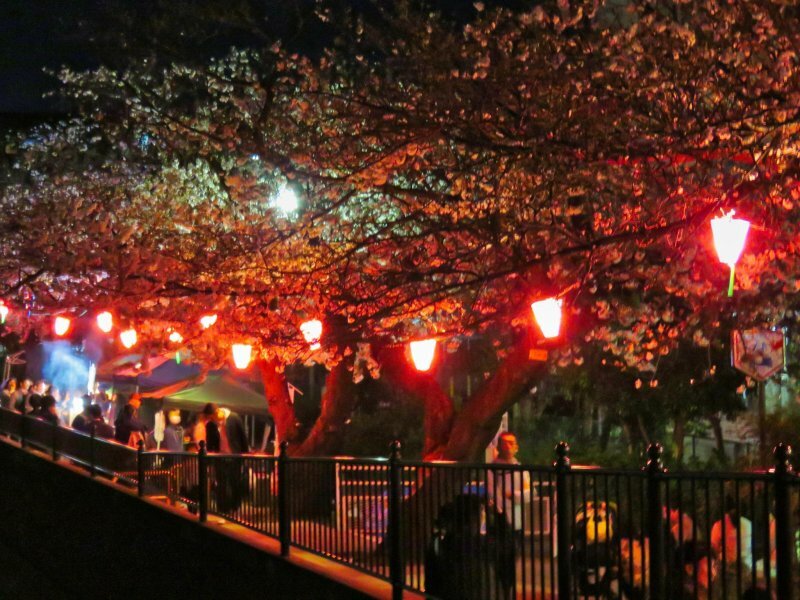 Listed as one of the top 100 places in Japan to view Sakura. You can walk the 1.6 kilometers from Kinugasa station or take a bus right to the park. 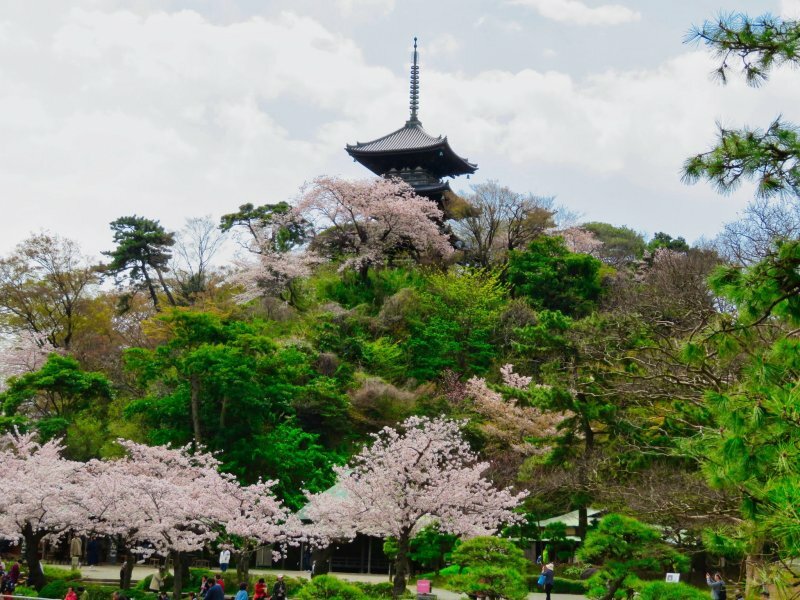 Climb to the top of their tower for a spectacular view of the Sakura trees and surrounding area. Along the trails there are many carved wooden animals. 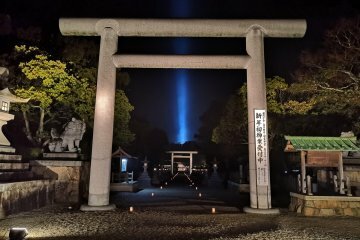 There is also a monument dedicated to a dog, named Tama. She was a hunting dog and twice she rescued her owner who had been involved in snow landslides. 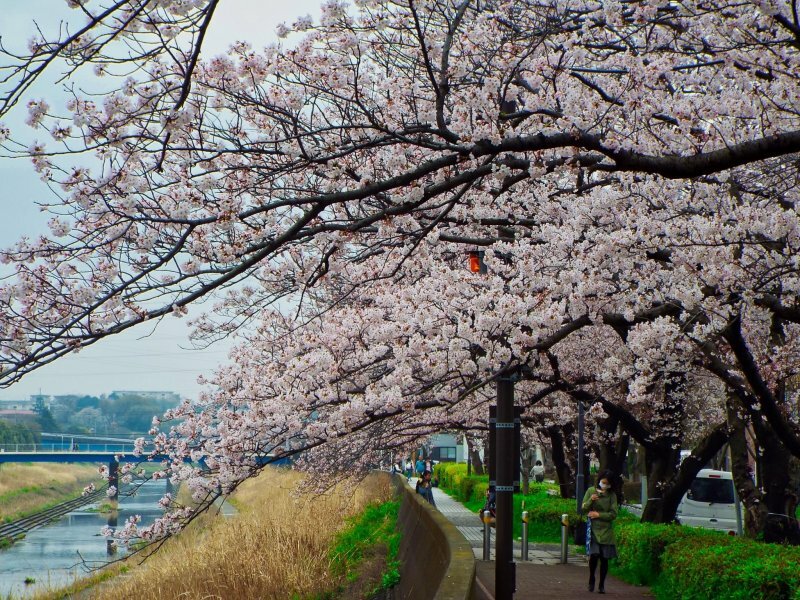 Located in the Miura Peninsula, this area boasts the early Kawazu blooming Sakura. 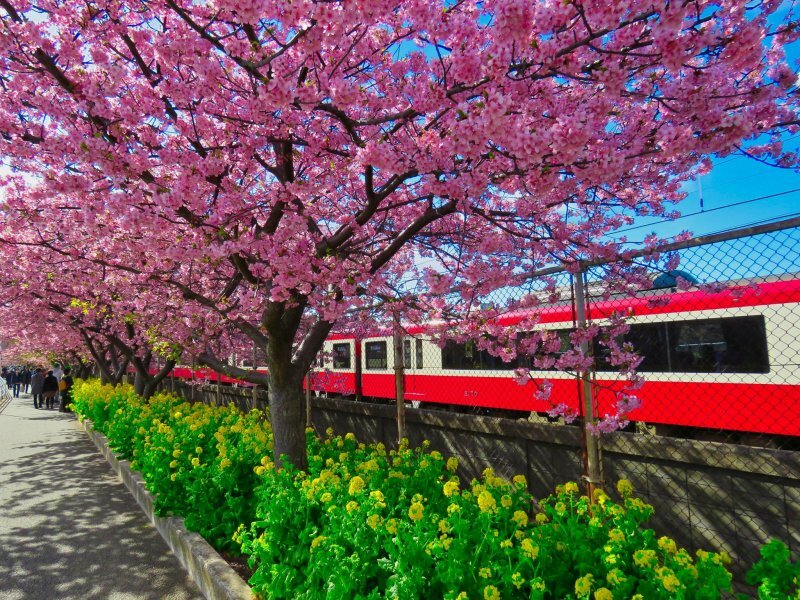 Walk along the pathway for a beautiful view of the trains passing under the blossoms. This area is also big in vegetable crops and you can pick your own Daikon (Japanese radish) for just a few hundred yen to take home. The mustard plants are in full bloom and make for a great contrast in colors for picture taking. 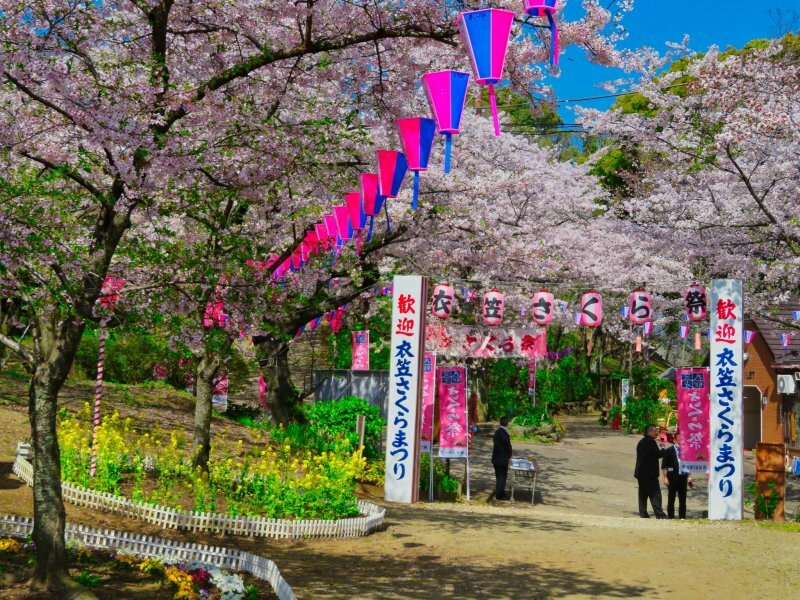 The dates for the 2019 Kawazu Sakura Festival are set for February 10th to March 10th. Totsuka is a small suburb city along the Tokaido and Yokosuka JR lines. 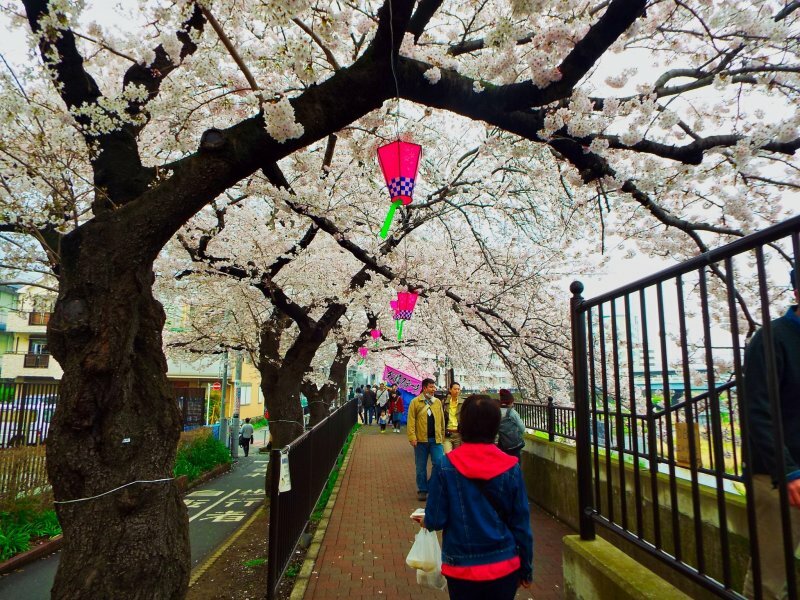 You will be very surprised by how many people show up to view the blossoms. 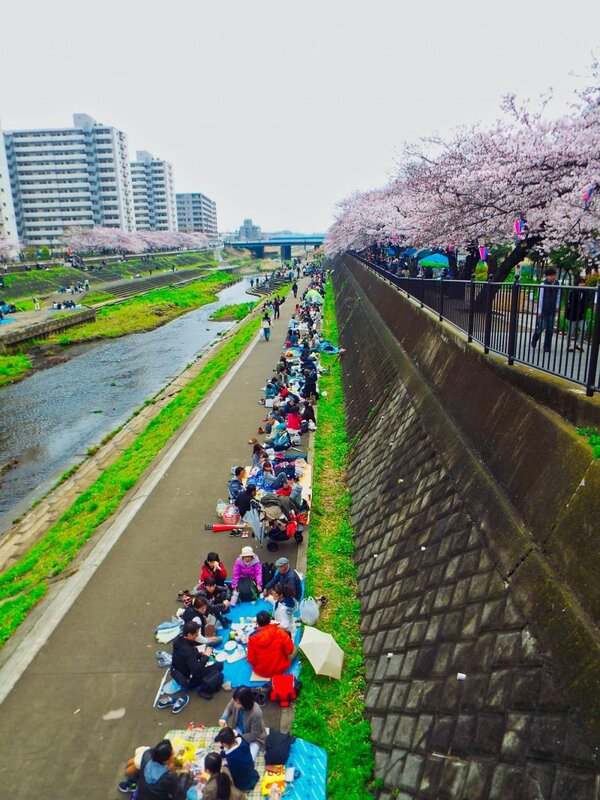 Almost every space along the canal is filled will special picnic mats. There are tents with children eating sweets and many people walking their dogs. If you enjoy people-watching, this is the place to do so. Beginning at lunchtime, vendors offer all types of street food, making this a true carnival atmosphere. The night view is also very crowded, but definitely worth taking the walk. 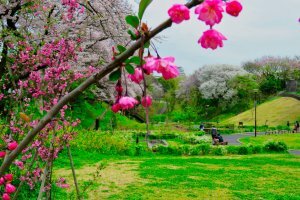 Everyone is aware of the popular Sankeien Garden, but just 3.5 kilometers west of Sankeien is Negishi Park, which is a must see for Sakura viewing. 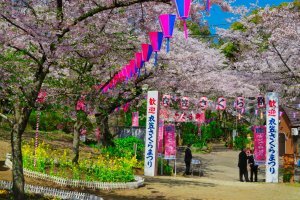 There is a very large Sakura display with some paths in the back where you can avoid the crowds. At the park stop by the excellent Equine Museum with retired racehorses and some beautiful Dosanko (Unique Hokkaido Horses). 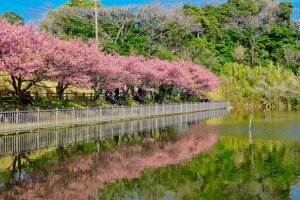 Near the bay area, they have a beautiful display along the Ooka River. 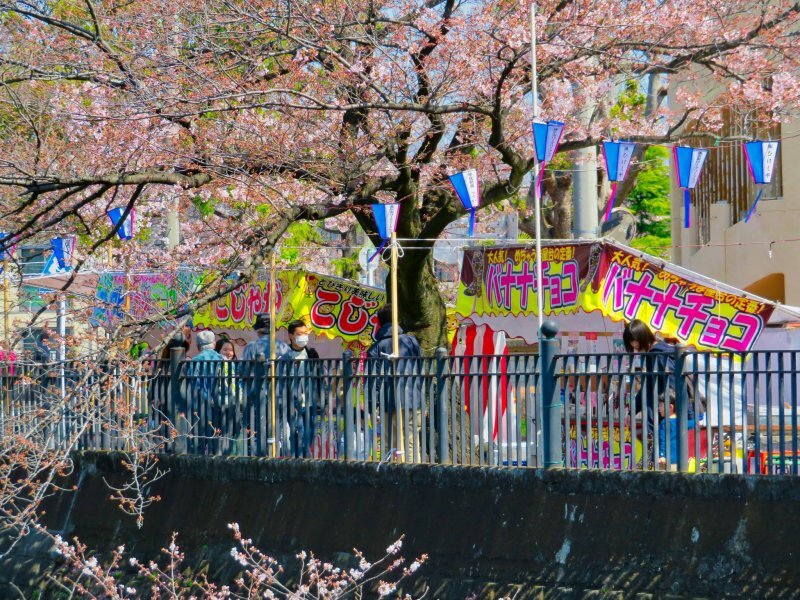 Here on both sides of the river there are food and alcohol booths along the pathways. This is the one time of year you can openly drink alcohol beverages in public without fear of breaking the law. It was noon and the pathways were filled with people out to enjoy a picnic during their lunch break. 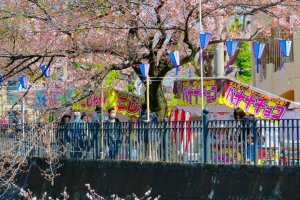 This is a joyous time and many people smiled and said “Konnichiwa” to me as I passed by taking pictures of all the activities. There were lanterns strung along the river for night viewing, which is very well attended. 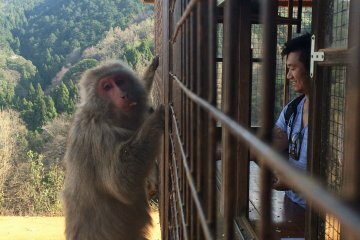 When I visited the park it was occupied by (you guessed it!) many school children sitting on mats enjoying the time away from the classroom. 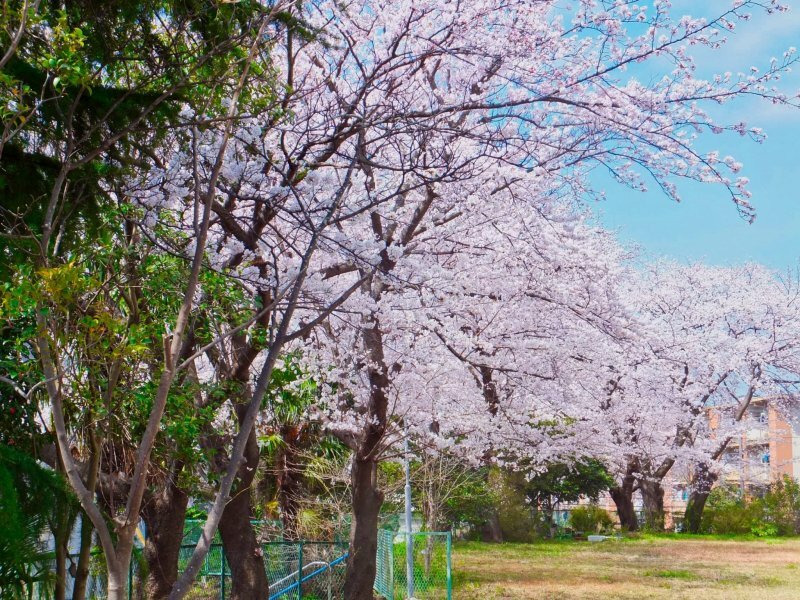 The Sakura season usually coincides with the start of the new school year. I discovered this park back in 2014 during one of my walks. 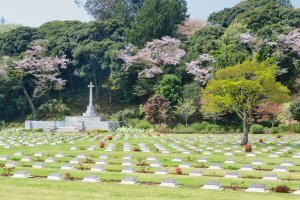 Adjacent to the park is a beautiful well-maintained British cemetery for the WWII veterans who died in Japan during the war. You will have to take a bus from Hodogaya station (3.5 kilometers) to the park, as there are no nearby stations. 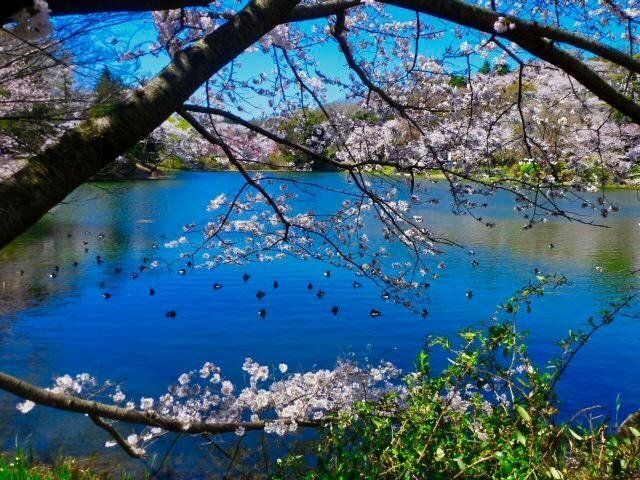 When I took these pictures, the Sakura (cherry blossoms) at the park were about 80% in bloom. 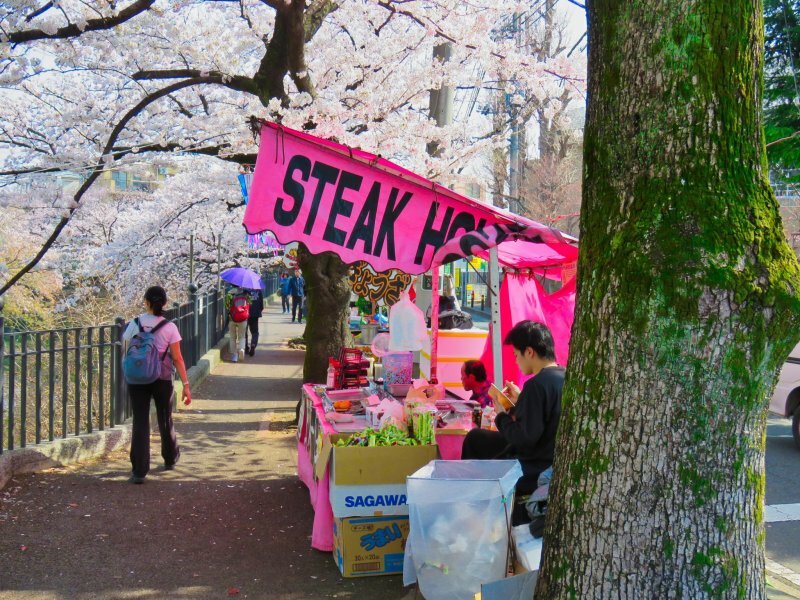 During this time many people bring picnic lunches and sit out under the Sakura trees. They were lined up to reserve a spot. The nearest station is Futamatagawa along the Sotetsu Line. There are frequent buses or you can walk the 25 minutes to the park. The park has a small petting zoo and very good hiking trails. Take the Seaside Line to Hakkeijima Station, the station for Yokohama Sea Paradise. I come here several times a year especially for the thousands of Hydrangea in June. Marine Park has a nice picnic area with some very good views of the bay. 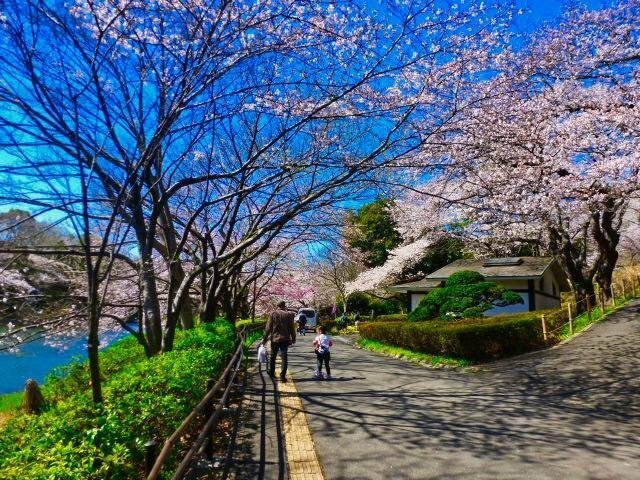 Just a few minutes walk from Odawara station. 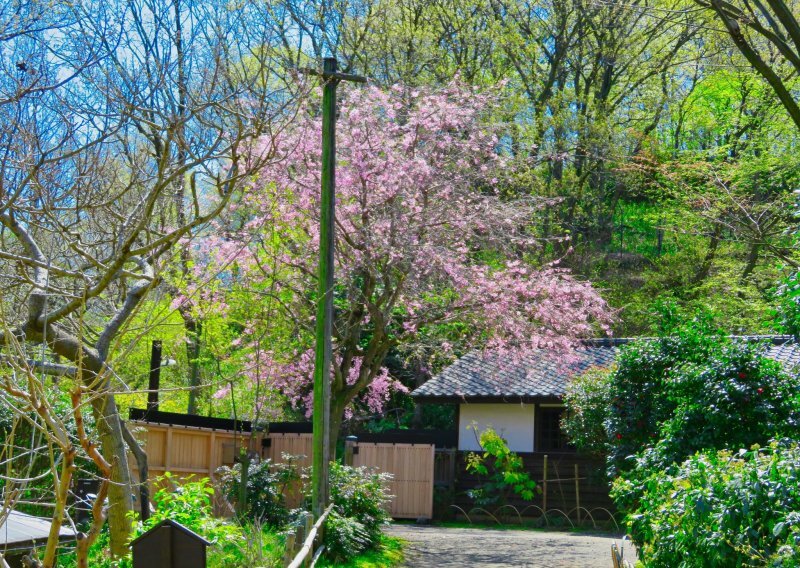 The grounds are filled with Sakura and you will want to spend some time taking lots of pictures. 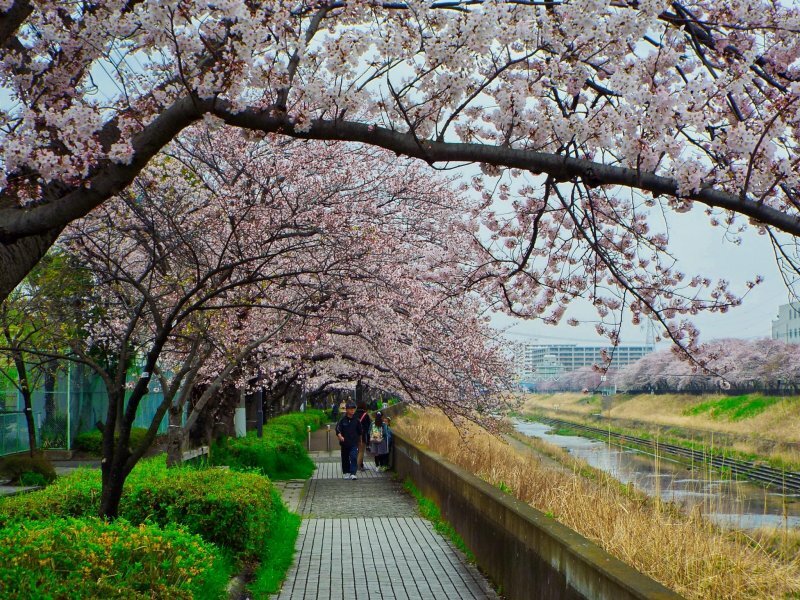 Ofuna has a canal that runs to Totsuka with very nice wide walkways. I make this walk at least once a week. 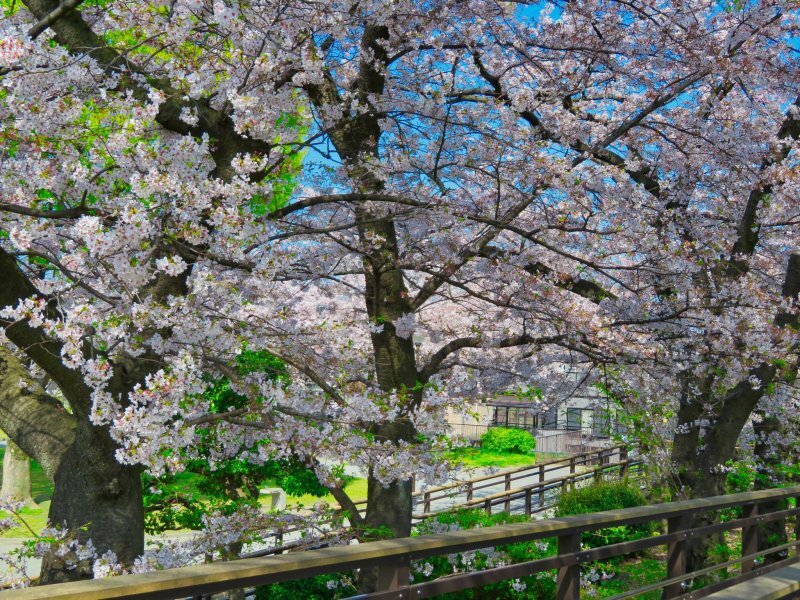 Filled with beautiful blossoms, each area is unique and different along the pathways. This park sits up on a hill and provides a great view of the metro area. 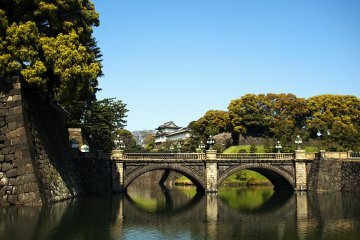 Just a fifteen-minute walk from Sakuragicho Station, you will not only find the park, but also Yokohama-ichiritsu-nogeyama Zoo. 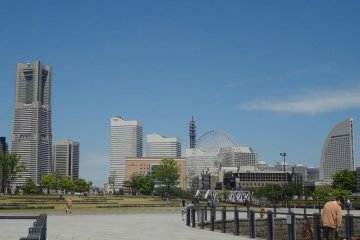 Make sure to walk all of the pathways, as there are several great viewpoints of the city. Ryokuentoshi Station Walkway, Maioka Park, Higashi Totsuka, Kamakura,and Mitsuike Park. 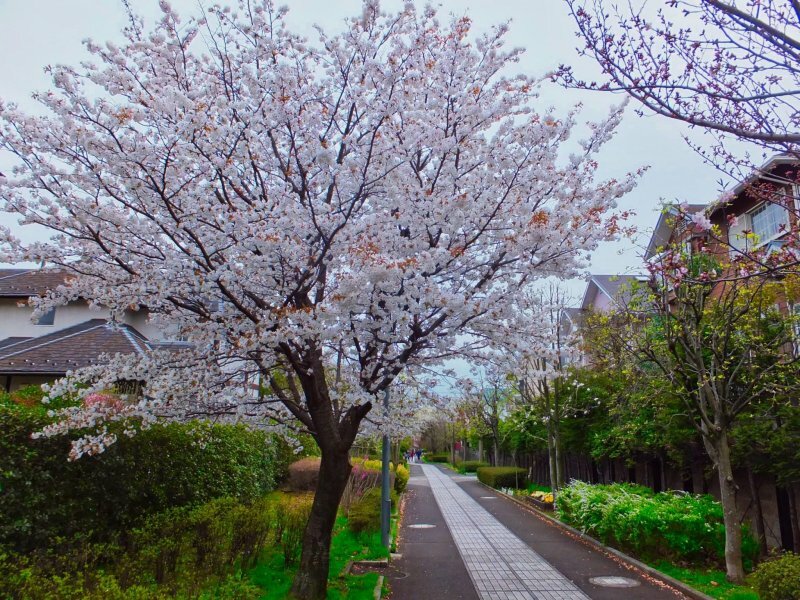 The last pictures are additional places I walk to every year for Sakura season. 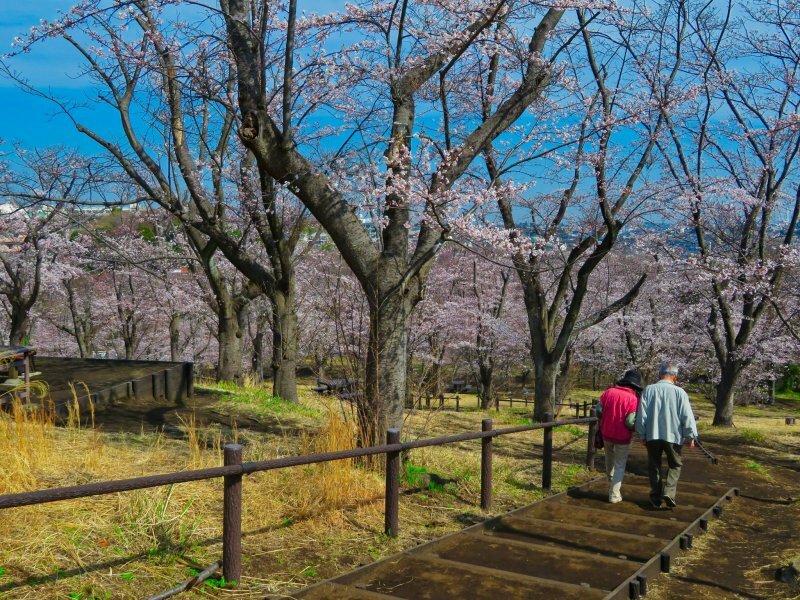 Kanagawa Prefecture is filled with many additional Sakura viewing areas and no matter where you decide to go, there will be beautiful blossoms. 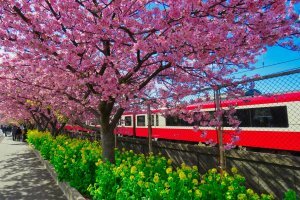 Just south of Tokyo you can take various JR and private lines which cover all of the prefecture. A good place to begin is Yokohama Station. 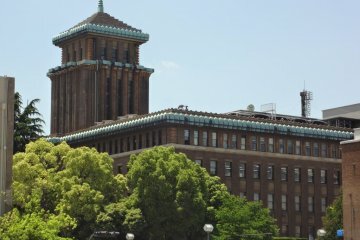 Stop by the Yokohama tourist center at the Central Gate exit for maps, and bus schedules. Such a comprehensive listing - I love that you included spots that may not be as well known, but still are full of color and beauty! Beautiful pictures. Nogeyama Park looks very nice and love the that it is on a hill.